Simple answers might be wrong. Till the night bird sings its song. This is the message that Jack and Annie of Frog Creek, Pennsylvania, get from Morgan le Fay, the magical librarian of Camelot. They know they have to search for one of the four secrets of happiness to help Merlin the magician find joy in his life again. And so they head off in the magic tree house for Florence, Italy, in the early 1500s to spend the day with one of the greatest artists and inventors of all time: Leonardo da Vinci! 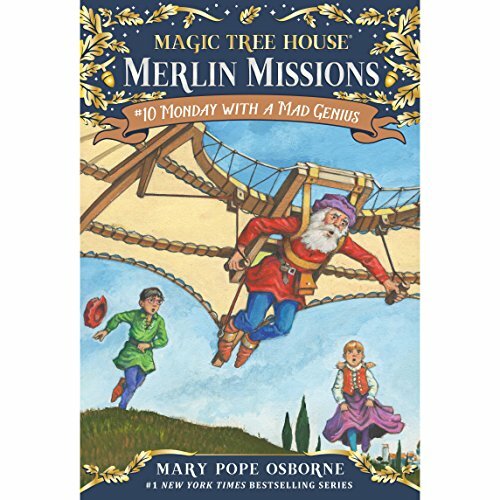 Mary Pope Osborne here takes young listeners back to the time of the Renaissance, an amazing period when great art and new ideas flourished in Europe and helped to change the world.